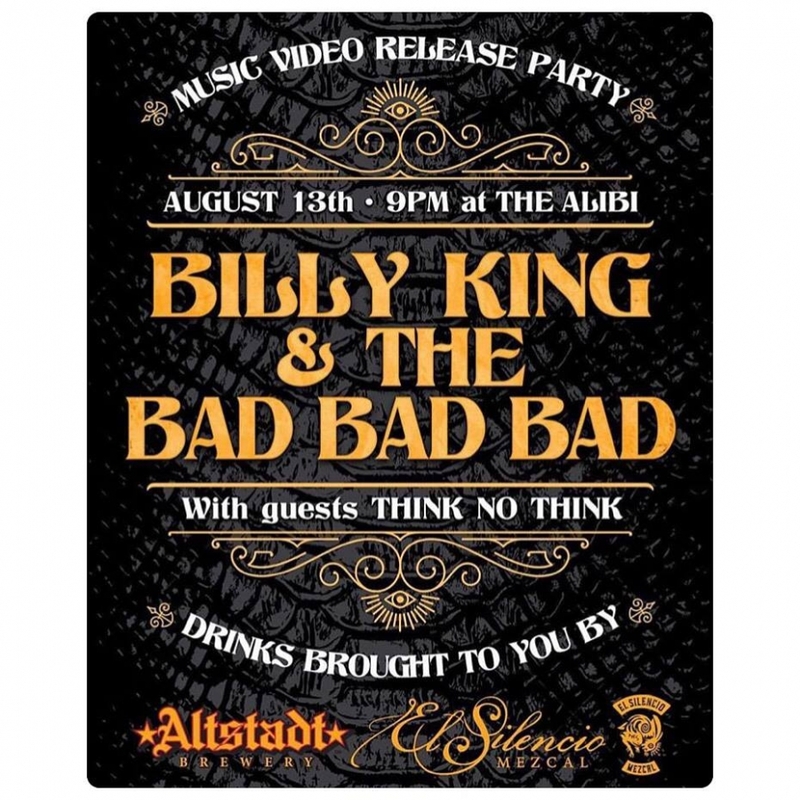 Billy King and the Bad Bad Bad Debut Music Video "Methmatics"
A relative quick ascendancy to the forefront of the Austin music scene, Billy King and the Bad Bad Bad have brought a blue-collar work ethic to their psychedelic ‘surf-rock from hell’ aesthetic. Endeavored consciously or not, Billy King and the Bad Bad Bad are carrying on a rich history of psych-rock in Austin. The proverbial doors of psych-rock perception were opened by bands like Roky Erikson and the 13th Floor Elevators, Conqueroo, and Shivas Headband in the 60’s, all the way up to the ‘Levitation King’ himself, Christian Bland, and the Black Angels. What makes BKBBB infatuating, is their lack of self-seriousness paired with lyrical landscapes of fantasy that are fortified by hypnotic drums, mind-melting riffs and dramatic choral swings. On their first music video “Methmatics” lead singer, Will Reynolds, gives a comical stare through classic 60’s liquid oil projections, only to follow up with a wrecking ball of anti-establishment rhetoric and a sledgehammer of a chorus. The formula has worked on other BKBBB tracks off of their Fever Dreamin’ EP, like “Night Terror” and “Werewolf of Love”. Reynolds is a premier frontman with perfectly graveled falsetto howl and engaging stage presence, but it is guitarist, Cam Wren, who sows the elements together with a deft axe of unmerciful riffs and solos. While their content can be playful, their sound is a gravitating sonic assault that beckons a visceral head-bang in lieu of a spaced-out daydream. for our Austin Artist of the Month poll below! What's your favorite Emerging Austin Artist on this list? Explore The Deli Austin Music Charts!